Floor mounting methods for railings vary per use, safety, security and flexibility. Gallery Metalworks provides 4 levels of floor securement (as seen in the Floor Mount Choices sidebar item to the right). Removable posts are often used where floor space must be used for alternate functions. 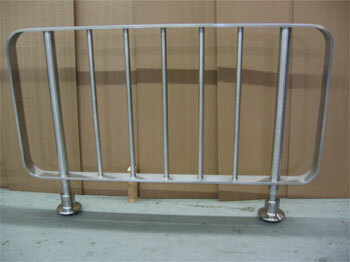 Useful for staging, public areas, trade shows, and more, these modular railings are generally mounted to 6” wide flat plates. With modular mechanical plaza railings, cart corral etc both repairs on site and alterations are made swiftly and inexpensively. 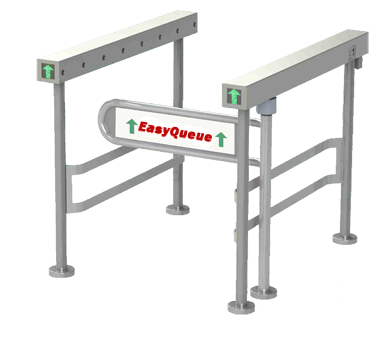 Initial shipping and erection on site is also quicker and much less costly.